"I feel kind of angry, that he got away with it"
A 94-year-old woman is recovering after someone attacked her and took her purse in D.C.'s Cleveland Park neighborhood Monday night. 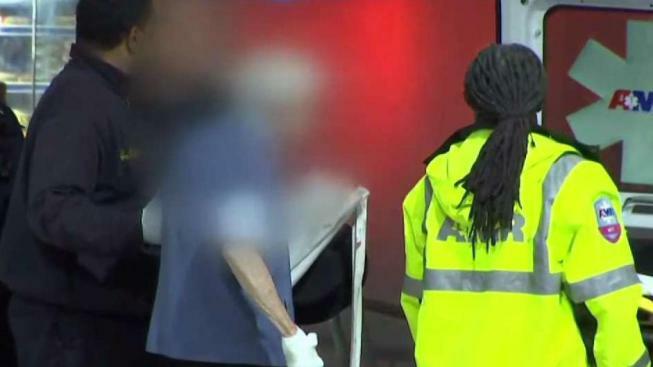 The woman, who did not want to be identified, said she was walking to her rental car in the 2900 block of Porter Street NW near Connecticut Avenue NW about 11:15 p.m. when a man suddenly grabbed her from behind. "He got my arms gripped behind me and said he had a gun. And 'I want your cash,'" she said. She says the man snatched her purse, emptied it out and broke the strap. He stole her credit cards, $15 in cash, her iPhone and car keys. "I just felt very angry that this was happening," she said. During the struggle, the suspect stabbed her hand and knocked her to the ground before taking off running. "I was in shock. Really. I screamed, I guess, but at that point, nobody could hear me." The woman says she walked to an Exxon gas station nearby to ask for help, but an employee there turned her away. "You're dripping blood and you can't do anything and you have no money and no way to call anybody and somebody refuses to help you. That’s not very kind," she said. She hopes police catch the suspect. "I would certainly enjoy it because I would certainly like to get everything back, especially the keys to the rental car," she said.